It was a lazy Tuesday afternoon in Manhattan, Kansas. With the temperature being 104°, there was nothing I wanted to do outside, so I played around on Twitter and sent an innocent Tweet to Dierks Bentley and Chris Janson. With their upcoming shows in Manhattan, I wanted to inform them that this future fish biologist could show them some good spots around town to catch white bass and walleye. Janson responded with the most unexpected, best Tweet I have ever received. 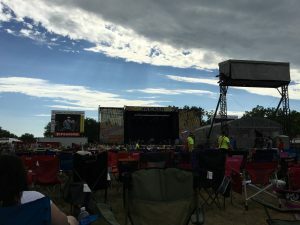 The tickets were for Day 2 of Country Stampede. Stampede is the largest music festival in the state of Kansas, and brings out the big names of country. Headliners this year included Sam Hunt, Dierks Bentley, Tim McGraw and Jake Owen. The Day 2 artists were Gunnar & the Grizzly Boys, High Valley, Josh Abbott Band, Janson, and McGraw. Will call was having problems finding our tickets, so we missed most of Gunnar & the Grizzly Boys. High Valley exceeded my expectations. They had a good bluegrass feel in a lot of their songs and entertained the crowd well. They were very interactive and did not look awkward like a lot of artists that are in a similar career stage. They went full bluegrass while playing I’ll Fly Away and their talent was evident. They also showed some Florida Georgia Line-esque music with their song County Line. If they stick to their bluegrass roots they could be a very entertaining band for crowds in the future. For me, the day really started when Josh Abbott Band took the stage. JAB has always been one of my favorite acts since I heard the song I’ll Sing About Mine for the first time a couple of years ago. The “Band” portion of the namesake put on a great show. The fiddle player had a crazy amount of talent. Unfortunately, Abbott’s voice just wasn’t there for him. I do not know if he had a cold or what was going on with him, but he could not hit the high notes that makes his range so impressive on the studio albums. In fact, he sang all of the chorus of Amnesia down an octave. As an entertainer, he was very good. He was energetic, brought out a t-shirt cannon, and made fun of the Kansas Jayhawks—always a welcome pander in Manhattan. I would be interested in seeing him again at some point to see him with his full voice. 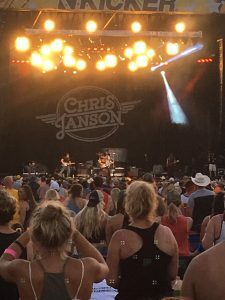 After JAB finished, it was finally time for Chris Janson. Many people only know Buy Me A Boat, but Janson has a lot of good cuts on his debut record. The hour and a half long set let him showcase those songs as well as play some of his favorite older songs. I had heard rumors about his crazy antics on stage, so I had high expectations for his show. He did not disappoint. Janson was absolutely electric on stage. He said “you’re about to see 135 pounds of skinny white dude play a harmonica like you’ve never seen” and then he did exactly that. His vocal range was as ridiculous as his harmonica playing. 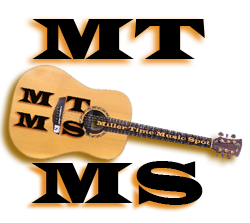 He doesn’t sing high all that often on stage, but he covered Merle Haggard and hit every note in the song. He also played an oddly fun punk rock version of Ring of Fire by Johnny Cash. He interacted with pretty much everyone along the stage, signing hats and talking directly with the people. While singing Buy Me A Boat, he brought four little girls up on stage and had them sing with him. He lit up the stage and looked like he had just as much fun as anyone at the festival. The headliner Tim McGraw finished up the day. I was personally most excited for Janson coming into the day, but it hit me about five minutes before McGraw took the stage that he was someone I’ve listened to since I was two. Words to his songs were some of the first words I knew in any music. He was one of the influential artists that helped foster my love for not just country music, but music in general. When you’re a 49 year-old with 52 number one hits, you can basically send your band out there alone and the crowd will sing all of your songs for you. McGraw didn’t do that, thankfully, but he did let the crowd sing most of his old songs’ choruses. It was kind of chilling to hear how many people McGraw’s music has touched as almost every person—from 16 to 60 year olds—in the crowd knew every word. As someone who would like to get into making music and performing, it was amazing to see how an artist can transcend generations. McGraw had a lot of energy and made the concert fun, but the star of his set was his music rather any antics. At this stage in his career, it would impossible for that not to be the case. 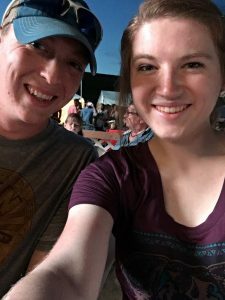 Overall, my girlfriend and I enjoyed a wonderful day of diverse country music in the middle of a field. To me, it just doesn’t get much better than that.